NASHVILLE, Tenn. -- More than 50 educational leaders visited Nissan Stadium on Monday for the official state launch of the InSideOut Initiative, a model that works to shift the focus of high school athletics away from the current “win-at-all-costs” culture and re-define the role of interscholastic sports in the lives of students and communities. 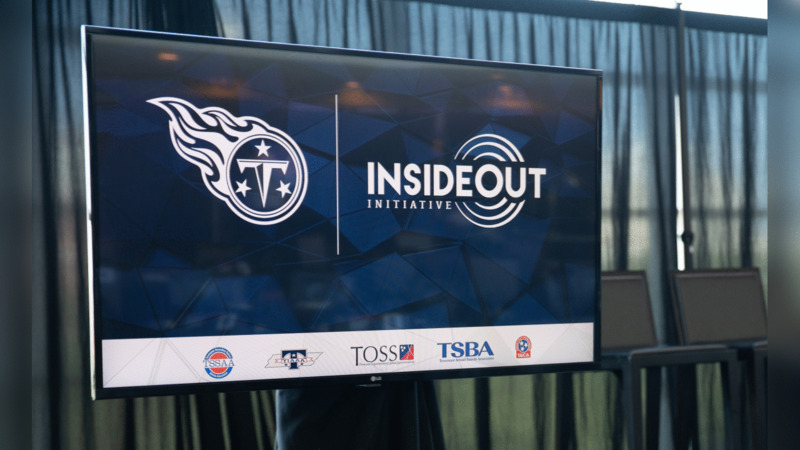 The Tennessee Titans and Tennessee Secondary School Athletic Association (TSSAA) worked together to bring the InSideOut Initiative to the Tennessee, citing the organizations’ shared commitment to fostering positive change in the state’s high school athletics programs. The InSideOut Initiative, which is supported by the NFL Foundation, was co-founded by Jody Redman and former NFL player Joe Ehrmann in 2015. The initiative has been implemented in twelve states across the country, with more planned launches in the coming months. “We can put kids into situations where they have to work together with their teammates to accomplish a common goal, but if we only are focusing on the outcome of the game instead of what we can give students as far experiences that are going to change their lives and are going to prepare them for the next stages of their lives, then we’re missing a really important opportunity,” noted Redman. The Titans viewed the InSideOut Initiative as a vehicle to build a strong foundation that allows student athletes to experience success on and off the field for years to come. “It’s not just about our sport, but also about the generations that are coming behind us, and making sure that they have the opportunity to know and understand what is most important in life,” explained Steve Underwood, president of the Tennessee Titans and Nissan Stadium. The Titans and TSSAA worked with other state educational and athletic organizations to develop a steering committee before implementing the initiative. Representatives from Tennessee Interscholastic Athletic Administrators Association (TIAAA), Tennessee Athletic Coaches Association (TACA), Tennessee Organization of School Superintendents (TOSS), and Tennessee School Boards Association (TSBA) were instrumental in launching the InSideOut Initiative in the state, and many leaders from the organizations were in attendance Monday. Such an extensive collaboration is exactly what the InSideOut Initiative founders hoped for when launching their initiative in a new state, according to Ehrmann. “There’s room for everybody here.  Truth is always found in community, so we want to bring everybody’s voice to the table. This has to be about the student athletes,” said Ehrmann. For Mike Ellson, executive director of TIAAA, launching the InSideOut Initiative provided an opportunity to return to the ultimate motivation of youth athletics. Monday’s launch was merely the beginning of the InSideOut Initiative in Tennessee. Over the coming months, the initiative will be implemented on the school level by coaches and principals in participating districts. Schools will learn tools and develop practical steps they can use to initiate the InSideOut tenets on and off the field.